Zambonee (formerly named Skrunch) was found in a ditch by some Good Samaritans. 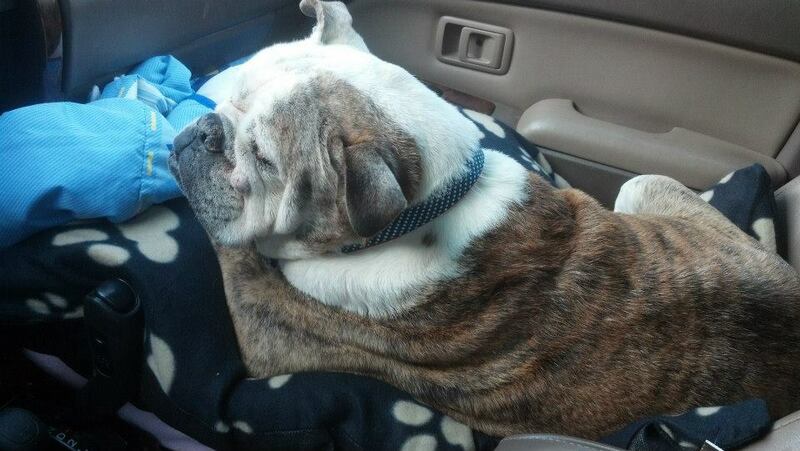 He is currently with Georgia English Bulldog Rescue, where he is being cared for in a permanent foster home. Click here to read Zambonee’s story. For more information about Zambonee, please contact Georgia English Bulldog Rescue.